Repair of the Soul examines transformation from the perspective of Jewish mysticism and psychoanalysis, addressing the question of how one achieves self-understanding that leads not only to insight but also to meaningful change. In this beautifully written and thought-provoking book, Karen Starr draws upon a contemporary relational approach to psychoanalysis to explore the spiritual dimension of psychic change within the context of the psychoanalytic relationship. Influenced by the work of Lewis Aron, Steven Mitchell and other relational theorists, and drawing upon contemporary scholarship in the field of Jewish studies, Starr brings the ideas of the Kabbalah, the ancient Jewish mystical tradition, into dialogue with modern psychoanalytic thought. Repair of the Soul provides a scholarly integration of several kabbalistic and psychoanalytic themes relating to transformation, including faith, surrender, authenticity, and mutuality, as well as a unique exploration of the relationship of the individual to the universal. 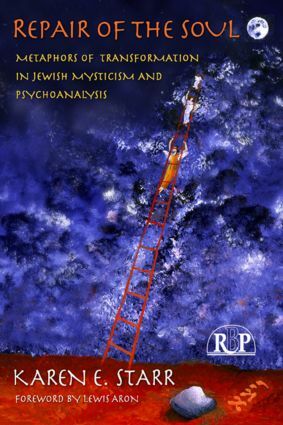 Starr uses the Kabbalah’s metaphors as a vivid framework with which to illuminate the experience of transformation in psychoanalytic process, and to explore the evolving view of the psychoanalytic relationship as one in which both parties - the analyst as well as the patient - are transformed.